Here is our Castle. It is located in Landrum, SC and its for sale. Not only am I the agent, but it is my personal home. I live here with my husband (Lee Zuber) and our two sons. It is called Kale's Castle. It was built in 1980 by a prominent chiropractor in the area. We purchased it in 2007 and have done about $400,000 worth of restorations. Our goal was to give it a modern feel in the kitchens, bathrooms and bedrooms. We also tried to maintain the old world charm in living areas, and tried to incorporate some of the original fixtures and doors in our renovations. 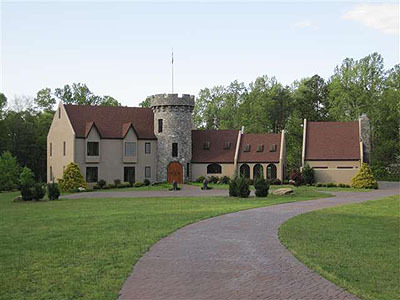 See Castle Listing with lots of nice photos Here.